Jeanine Fynn is rapidly becoming a sought-after director in the Vancouver opera scene. Trained as a singer and performer, her imagination, experience and expertise are assets to every production she helms. A proponent of Opera as entertainment for all, Jeanine was founding Artistic Director of DragonDiva Operatic Theatre which premiered in 2007 and closed its doors after a triumphant run in the Summer of 2014. The award-winning non-profit company produced semi-professional shows across the lower mainland, giving performance opportunities to young professionals, post-secondary students, and community members. Jeanine is the founding Curator/Director for the viral photography project "Fez on a Chaise" as part of her commitment to community engagement. 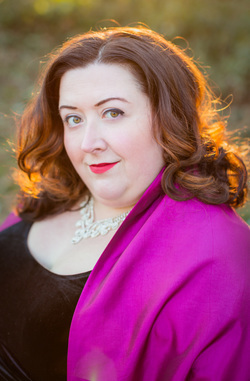 She is also a proud member of Vancouver Opera’s professional chorus, and can be seen in this season's productions of Otello and Dead Man Walking.